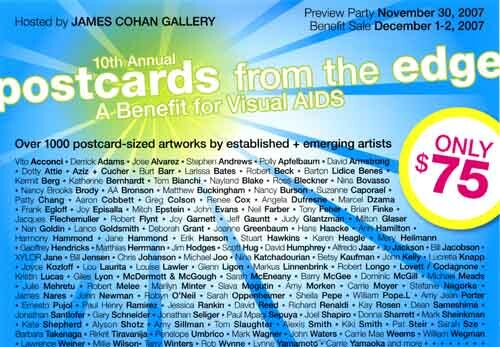 Over 1000 original postcard-size works of art. ONLY $75 each. Works are signed on the back and displayed anonymously. Artists’ names revealed only after purchase. Buy 4 cards and get 1 free. $75 admission includes one raffle ticket. Additional Raffle Tickets $20. Participating artists attend free. NO POSTCARD SALES – sneak peek only.